If you haven’t already, please enter our New Japan Cup Pick’Em contest. 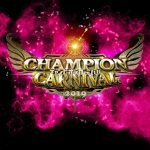 Details and entry can be found at http://www.voicesofwrestling.com/2016/02/22/announcing-the-2016-new-japan-cup-pickem-contest/. Beginning tomorrow, New Japan Pro Wrestling kicks off their annual early spring tournament, The New Japan Cup. The tournament dates back to 2005 and inaugural tournament winner, NJPW legend, Hiroshi Tanahashi. In 2006, New Japan raised the stakes of winning the Cup by allowing the winner of the tournament a shot at the IWGP Heavyweight Championship. In 2014, that stipulation was altered slightly to allow the winner to challenge for either the IWGP Heavyweight Champion or the IWGP Intercontinental Championship. 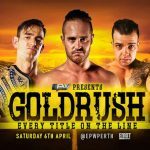 In 2015, that stipulation was once again changed to allow the winner a shot at the NEVER Openweight Championship as well. To date, there have been seven different New Japan Cup winners. The aforementioned Tanahashi won the inaugural tournament in 2005 and regained the crown in 2008. Giant Bernard (WWE’s Albert and Lord Tensai) won the tournament in 2006 but was unsuccessful in his attempt at the IWGP Heavyweight Championship — at that time held by another WWE veteran Brock Lesnar. Yuji Nagata took home the cup in 2007 and was the first winner to successfully challenge for the IWGP Heavyweight Title, defeating Hiroshi Tanahashi on April 13. Nagata would once again taste success in 2011 when he defeated Shinsuke Nakamura for the 2011 New Japan Cup. Nagata couldn’t complete the dream scenario again, this time losing to Tanahashi in his attempt at the title. Hirooki Goto went back-to-back in 2009 and 2010. In true Goto fashion, he was unsuccessful in both attempts for the Heavyweight championship losing to Nakamura and Tanahashi respectively. Goto was right back in the winner’s circle, though, taking home the 2012 Cup. This will come as a complete shock but Goto choked once again, losing in his attempt to unseat young upstart Kazuchika Okada at 2012’s Wrestling Dontaku. In 2013, Okada himself would taste victory winning the 2013 New Japan Cup, parlaying that win into an IWGP Heavyweight Championship victory against Tanahashi at 2013’s Invasion Attack. To date, this remains one of the best New Japan Pro Wrestling matches in history and arguably the best match in a storied rivalry of Okada and Tanahashi. Nakamura finally received a win of his own in 2014, defeating Bad Luck Fale in the finals. The King of Strong Style utilized the added stipulation of challenge for the IWGP Intercontinental Championship to regain his coveted title against Tanahashi at Invasion Attack 2014. Last year saw Kota Ibushi take home the crown, only intensifying his incredible run at the beginning of the year. Unsuccessful in his attempt at the IWGP Heavyweight Championship against Bullet Club frontman A.J. 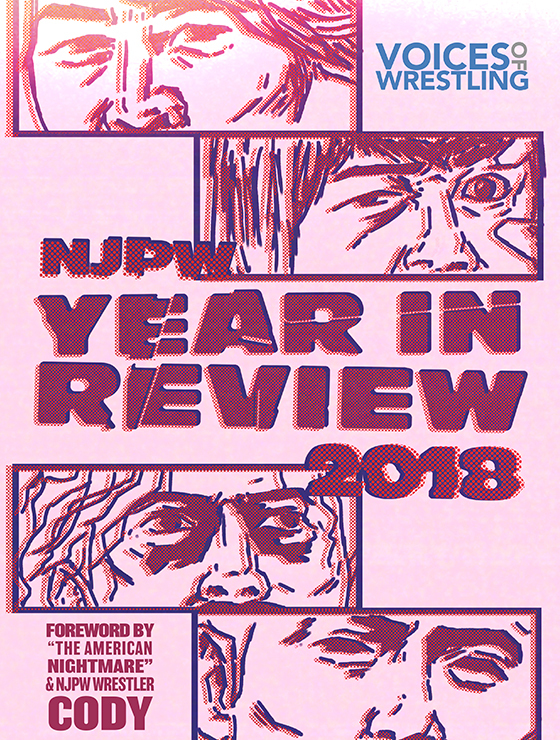 Styles, Ibushi’s year took a tumble soon after as injuries and a prolonged period away from the company stifled his ascension to the top of New Japan. That brings us to this year. 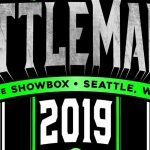 While the departures of Styles, Nakamura and Karl Anderson have lessen the star power of this year’s field, it has given way to a more unpredictable tournament. With less established star power in this year’s group, any number of wrestlers could take home the crown. 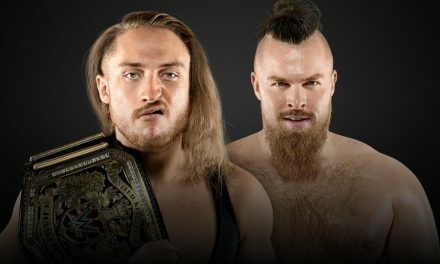 The added stipulation of challenging for the NEVER Openweight Championship also adds a wrinkle that the winner doesn’t necessarily have to be a top-flight member of the roster. Hiroshi Tanahashi: A two-time winner of the New Japan Cup and a popular pick among experts, Tanahashi’s path to the tournament crown will not be easy. He begins March 3 against Bad Luck Fale and would presumably move onto Round 2 against his frequent tag partner and newly-signed member of the New Japan roster, Michael Elgin. If Tanahashi were to win, he would almost certainly go on to challenge current IWGP Intercontinental Champion Kenny Omega, whom defeated Tanahashi at last month to win the vacant championship. 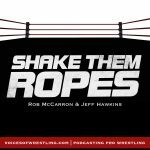 I made the bold prediction on last week’s Voices of Wrestling podcast that Tanahashi will lose in the first round, giving him an opportunity to rest his injured shoulder and allow some extra diversity in the final stages of the tournament. With that said, Tanahashi is a draw and still a legend in New Japan, him being in contention on the final day (semifinals and finals take place March 12) makes business sense. I’m no good at odds, so I’ll spare you that but it’s just as likely Tanahashi wins the whole thing as it is he lose in the first round to Fale. Bad Luck Fale: NJPW’s proverbial monster has fared well in past tournaments, reaching the finals in 2014. As I wrote above, I think he has a solid chance of defeating Tanahashi in the first round. Our pick’em game participants agree as well, as 46.2% of our current brackets have Fale moving onto the 2nd round. If Fale were to beat Tanahashi, a trip to the semis or even the finals seem quite daunting. Elgin is a hot pick among our pick’em participants and a win against the monster Fale would do a lot to help Elgin’s credibility among the Japanese fanbase. Fale has a chance at winning his opening match but absolutely zero chance of winning the entire thing. Hiroyoshi Tenzan: Sorry, buddy, you’re inclusion in this year’s tournament (his 7th all-time) is simply a vehicle to get #BigMike over. Tenzan has a 0% chance of winning the entire thing and likely a 0% chance of making it out of the first round. Michael Elgin: A super popular pick among our pick’em contest. Elgin is so popular a pick that a little over 19% of brackets have him winning the entire thing — second-highest. Elgin is a mortal lock to make it out of the first round but could run into trouble should Nakamura win his first round match-up. Elgin is a great pick to win the whole thing but could just as easily bomb out in the second run. It’s a risk to pick him but one that could pay off big. Togi Makabe: It seems easy to say Makabe, one of NJPW’s longest running veterans, will beat Bullet Club lackey Tama Tonga in the first round but New Japan booker Gedo has surprised us before. Tonga is clearly being positioned for bigger and better things in 2016 and a shocking win over an established guy like Makabe could go a long way in building that credibility. If Makabe does survive Tonga, it seems likely he’ll fall to the winner of Yuji Nagata/Hirooki Goto in the second round. 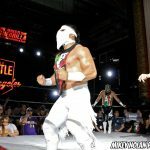 Tama Tonga: Don’t sleep on Tonga in 2016. Every indication is that he’s due a bigger role with the company and as mentioned above, an upset win over Makabe could help established him for the rest of the year. Tonga has no chance of making it out of round two, but, hey, a win in the first round would be really cool. By the way, this entire write-up will look so silly when Makabe destroys him. Oh well. Yuji Nagata: Blue Justice has gained a smattering of support in our New Japan Cup pick’em with 1% of brackets having him win the whole thing. It’d be a great story for the 47-year-old to get one last crack at a major title but it seems unlikely given the other talent in his region. Nagata could upset Goto in the first round causing Goto to spiral downward. He could also beat the winner of Makabe/Goto but has a tough round in the semis against favorites Tanahashi and Elgin. Would a trip to the finals be impossible? No, not at all but it’s certainly improbable. Hirooki Goto: If I were booking this tournament, Goto loses to Nagata in embarrassing fashion. We’ve already seen Goto’s psyche broken over the last few months, a loss in the opening round of a tournament he used to dominate (three-time winner!) is an awesome story. C’mon Gedo, you know the right thing to do here. Tomoaki Honma: The new Honma, much like the old Honma, is still among NJPW’s most popular wrestlers. He just wins a lot more now. Could he parlay that tag team success with a win in the opening round of the New Japan Cup? It’s hard to say. Currently, 42.9% of our brackets have him defeating veteran Satoshi Kojima in the opening round. I’d call their match-up as a coin flip with pros and cons to each winning. Satoshi Kojima: As stated above, I think Honma vs. Kojima is a coin-toss. I really have trouble picking a winner with that match. 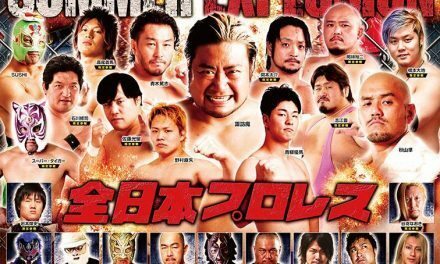 With that said, whoever does emerge has a great chance to make it to the semifinals as they’ll face the winner of Toru Yano and Yujiro Takahashi. Toru Yano: The always entertaining Toru Yano will likely win his first round matchup against Yurjio but has zero chance of defeating either Honma/Kojima in the second round — only 5% of our brackets have him moving to the semifinals. Yujiro Takahashi: Thankfully, Yujiro’s stint in the New Japan Cup will be short and sweet. He’ll likely lose to Yano in the second round. If in the off chance he does make it to the second round, he’ll be pummeled by either Honma/Kojima. Tomohiro Ishii: The former NEVER Openweight Champion has some support among New Japan Cup pick’em participants with 2% of brackets have him winning the whole thing. His path to the finals isn’t hard with Tetsuya Naito as his only roadblock. Unfortunately, that’s a hell of a roadblock. Ishii will undoubtedly win his first round match against Naito’s Los Ingobernables stablemate EVIL but could bounce out of the second round at the hands of Natio. Ishii is one to watch. EVIL: Sorry, Watanabe fans, EVIL has no chance of winning the Cup and equal chances of defeating Ishii in the opening round. The good news: he’ll be ringside for Naito’s run at the Cup. 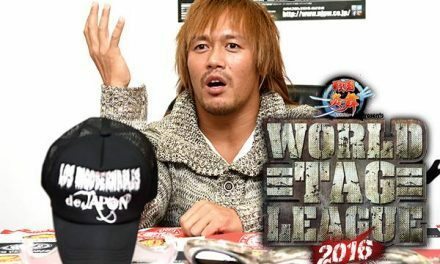 Tetsuya Naito: The current favorite to win the whole thing, Los Ingobernables leader Naito has 69% of our brackets picking him to win the whole thing, 100.0% picking him to defeating YOSHI-HASHI in the opener and 87% have him at least reaching the finals. It makes all the sense in the world to have Naito win the Cup this year and cement his run back to the top of the company. 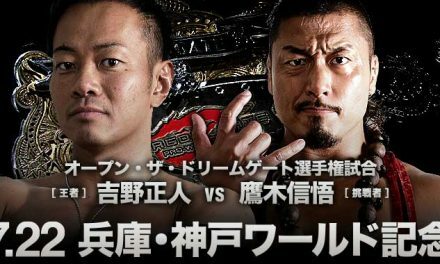 However, many (myself included) question if a win and an IWGP Heavyweight Championship match vs. Okada at Invasion Attack seems too sudden. Not too sudden for Naito, he’s created a character that’s among the most intriguing in the world but too sudden for Okada who finally cemented his spot as the new “ACE” of New Japan at Wrestle Kingdom 10. Could you have Naito challenge for the title and lose? Sure, but is that the best plan for him at this point. Could you have Naito beat Okada for the title? Sure, but again, is that the best plan for Okada at this point? Who says Naito even challenges for the Heavyweight title, he’s a weird dude, maybe he goes for the NEVER Title, maybe he doesn’t even challenge for a title right away. There’s a lot you can do with Naito, so that opens things up a bit but regardless, he’s an early favorite and for good reason. 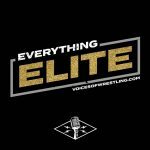 Stay with Voices of Wrestling and @VoicesWrestling throughout the tournament for coverage of each event (airing live on NJPW World) as well as our forums (voicesofwrestling.com/forums) where we’ll be discussing the tournament and updating standings for our 2016 New Japan pick’em contest. NextWhat Motivates Top Executives in WWE?